This offers some classy sounds that can be used to positively inspire some new ideas. Stunning variation in octave sounds. The fluctuating bottom E on ringing notes. One of the best bass effects available gets better as this offers two independent voices for maximum variation, blending and delivery. 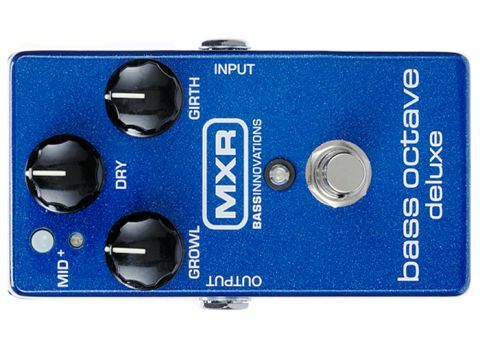 With fast tracking and accuracy this has to be octaving at the top level: a small-sized pedal that can have a huge impact on your sound. By varying the growl and girth it offers some of the most effective bass octave sounds we've ever heard. The mid switch allows straight notes to dominate over the effected one, while dry is the direct blending of the two. Short, well-hit notes produce best results from the bottom string.